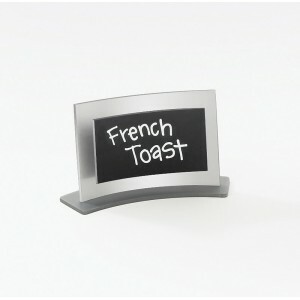 Write-on Forma Board - Cal-Mil Plastic Products Inc.
Label your culinary creations at any buffet, table, coffee bar, cafe, and more with this modern and versatile sign. It features a black write-on that is accented by a modern and attractive silver frame. Use with Our Wet Erase Markers!